Time is of the essence and Apple understands that well. 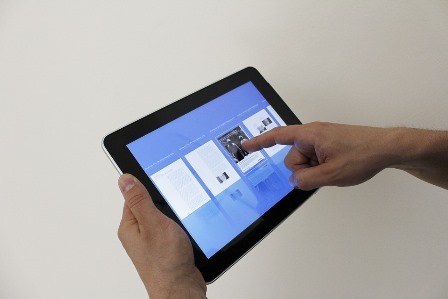 The famous Apple tablet, iPad has the ability to run multiple applications at a time. The user can open a new app while another app is running in the background. And the slick multi-touch feature gives the user an easy jump between the applications. The multitasking feature allows you to do various things at a time. One can listen to music online while surfing on social media or using any other offline application. The iOS 9 has introduced the new split-screen multitasking which has added a new dimension to the multitasking feature. There are three new forms of multitasking in iOS 9. These features have made multitasking literally effortless. The split view mode divides the screen into two parts and where both the halves act as individual screens. This feature can be only be used in landscape mode. In case one is using two different apps on split mode, both the apps must be enabled for the split view. A small line marks the feature between the right-side column and the app. One can slide the line towards the middle of the screen and enable split mode. However, dragging the finger all the way to the end may enable full-screen mode. The picture in picture is one the most attractive features of iPad. It works with applications that can play videos. The app will show a small icon at the bottom-right corner which is a square with an arrow pointing towards a smaller square. If you tap on this button, the picture in picture mode will be enabled and the video will play in a small window on the top corner of the screen while you can run another app in the background. You can resize the video window by pinching it in or out to your convenience. You can even move the video to any corner of the screen by dragging it, and with a double tap, you can move back to the full-screen mode. Here are some other shortcuts and convenient moves that can save you a lot of time help you multi-task. There are some apps that are more important to us than others. And we tend to use them all the time or most the time. Now you can place all your favorite apps wherever you want, on your home screen. Tap and hold the app icon until it goes into edit mode. Then drag the icon the location of your choice. Press the home button to save and exit the editing mode. You can even move icons between screens and place them on the screen on your choice. You can create a folder for your favorite apps on your home screen. This will keep all your essential apps in one place and you won’t have to scroll through a jungle of apps to find them every time. When it comes to using multiple devices, Apple’s Continuity is very handy. One can use Continuity to move seamlessly between devices with using various apps like Handoff, Universal Clipboard, iPhone, Cellular Calls, SMS/MMS messaging, Instant hotspot, and Auto Unlock. Together this collection of apps is known as Continuity. Continuity acts as a bridge between your devices. It allows you multitask in various ways. Start an email; make/receive calls without picking up your iPad. You can even activate your iPad hotspot without taking it out of your bag. iPad has a lot of features that allow us to multitask effectively and save time. With the addition of the Continuity feature, multitasking has become easier than ever.